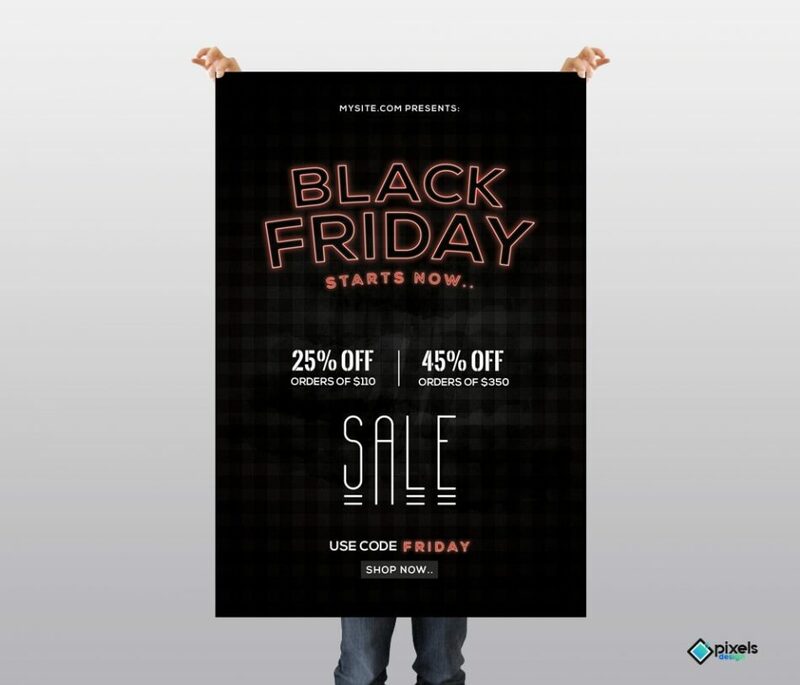 Download Black Friday #3 PSD Flyer Template for Free. This flyer works perfect for any discount sale, black fridays or other sale promotion. Flyer is fully editable. This clean flyer is designed with glow & neon fonts and creative typography. If you are running any huge discount for Black Friday’s, this flyer will fit perfect for your offer.